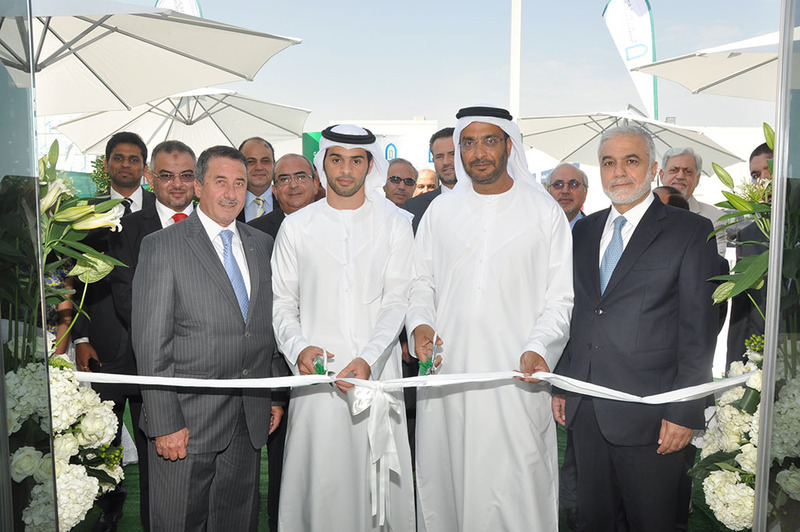 Abu Dhabi, 27 October, 2013 – Insurance House P.S.C (IH) announced that it has opened a new branch in Al Mussafah. This move comes in line with its customer-centric philosophy that is characterized by its comprehensive expansion strategy to reach the widest range of customers in the UAE. “Today’s announcement marks another milestone for Insurance House. Despite our short history, we are proud to be a front runner in the insurance industry, supported by our forward-looking vision and the aim to become one of the leading insurance companies in the UAE. To this end, we shall adhere to our longstanding beliefs and principles and strive to deliver the best services and products in our field,” said Mohammed Alqubaisi, Chairman of Insurance House. The newly opened branch is the fifth of Insurance House in the UAE, after those of Abu Dhabi, Dubai, Sharjah, and Samha, with plans to open two other branches in the near future, expanding the Company’s branch network further. “The intensified expansion strategy we are adopting in 2013 derives from the positive results achieved and from our optimistic view for this years’ outlook. The high performance and quality of service provided by our team, have underlined our benchmark and placed our brand as one of the most credible brands in the UAE insurance industry,” commented Idris. “We are confident that the new branch will serve our expansion strategy and enable our customers to access our best-in-class products and services more conveniently,” concluded Idris. Earlier this year, in recognition of its innovative products and services, Insurance House received two prestigious awards, namely the Best Motor Insurance Product at the Banker Middle East Product Awards 2013 and Best Local Insurance Company at Banker Middle East Industry Awards 2013. Insurance House offers a wide range of insurance products and services designed to provide valuable solutions to institutions as well as individuals across the United Arab Emirates. Armed with the deep-rooted principles of customer satisfaction and innovation, Insurance House has adopted a flexible strategy, with a keen focus on responding to the ever-changing market needs and diverse customer requirements.